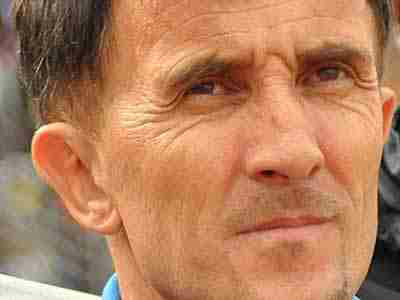 Sredojevic Milutin also know as Micho is in line to dump Uganda and be named Nigeria’s next coach at the end of a two- match mandate handed the three-man caretaker coaching team led by Samson Siasia. Orlando Pirates of South Africa coach to take over the Eagles after the two-match mandate given Siasia and his assistants. Another source added: “Micho’s representatives have told me they have established a link with the NFF for quite some time now.” It will also be recalled that former Nigeria international Tijjani Babangida, who was Sunday Oliseh’s special assistant, has alleged representatives of Herve Renard informed them that NFF officials again led by Green attempted to offer Oliseh’s job to the former Zambia and Cote d’Ivoire coach. Micho is 46 and he has proved his tactical prowess and wealth of knowledge across Africa – from Sudan, Ethiopia, Rwanda to Uganda – and it will be a track record that will come in handy when the 2018 World Cup qualifiers get underway in October.